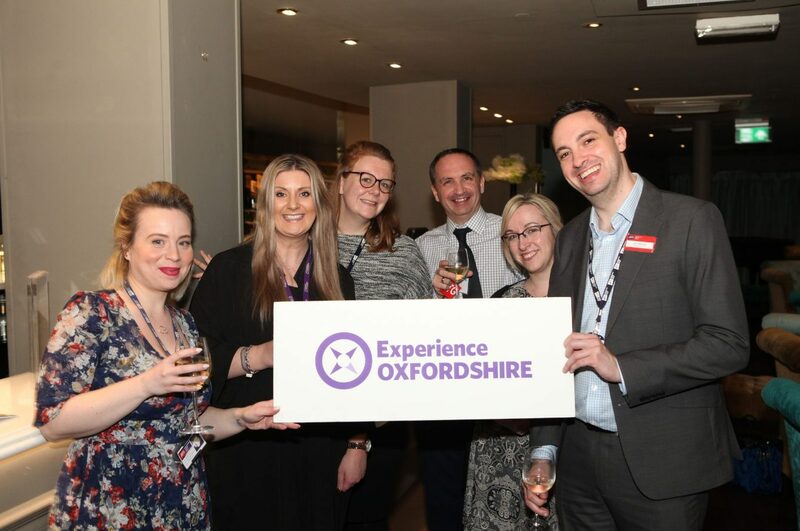 On 29th January Experience Oxfordshire welcomed Partners to their winter networking event at the New Theatre, Oxford. Showcasing the venue to Experience Oxfordshire Partners, the team at the New Theatre welcomed guests to the Ambassador’s Lounge, before an exclusive behind the scenes guided tour of the art-deco theatre’s backstage areas and conference facilities, all followed by drinks and canapés in the swish Piano Bar. The theatre offers conference and events packages in unique spaces. Their magnificent three-tier auditorium with seating capacity of 1,785 is available for hire, as are their recently refurbished bar areas and the new conference suite. 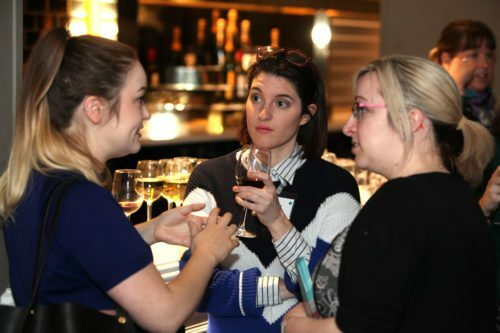 The winter networking event is part of a series of events and seminars that Experience Oxfordshire hosts throughout the year and is an exclusive benefit of being an Experience Oxfordshire Partner. 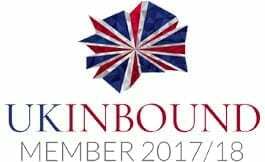 More details on our partnership scheme and future events can be found at www.experienceoxfordshire.org/partner. 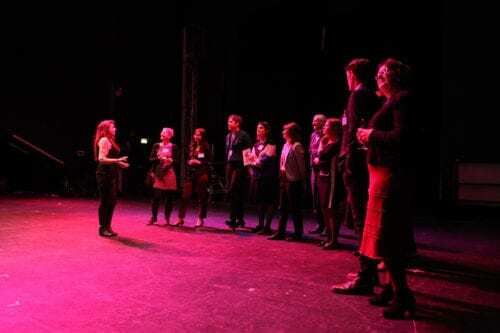 Playing host to some of the biggest shows and names in theatre, comedy, dance and music, New Theatre Oxford is situated right in the centre of the city. The art-deco theatre was opened in 1934 and boasts a traditional auditorium space with seating capacity of 1,785, with additional break-out spaces available in recently refurbished bar areas. 1. Partners begin to gather in the Piano Bar. 2. 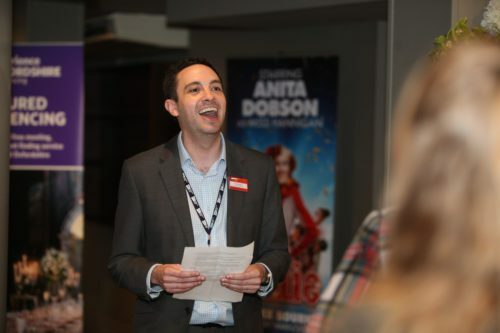 Lee Henderson, Theatre Director, welcoming partners to the New Theatre. 3. Partners being given an exclusive behind the scenes tour of the theatre. 4. 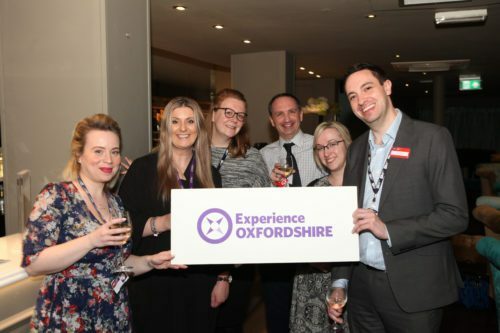 CEO of Experience Oxfordshire Hayley Beer-Gamage with Lee Henderson the New Theatre Director and his team along with Experience Oxfordshire Ambassador Phil Southall, Managing Director of the Oxford Bus Company.